Love mandalas can take a number of different shapes, but what unites them is a focus on love, and contemplation of the bond between two people, rather than the more traditional use of divine communication. Of course, for those who are very spiritual, in some ways the two are not mutually exclusive. Love can be expressed through a number of different symbols; perhaps the most common is the heart. For love mandalas, the circular outer container can be replaced by a heart shape, or the geometric elements inside the mandala can be made up of a variety of different heart sizes. The lotus flower has spiritual meaning in Buddhism related to the idea of an “open heart,” and is a common component of Buddhist mandalas. The unfolding petals of the lotus flower represent the layers of self that open up to experience the universe and everything that comes with it. This symbolism is also related to the idea of love, since truly loving another thing – whether a god, person, or even oneself – requires having an open heart. The infinity symbol: A representation of the eternal nature of love, which even supersedes the finality of death. A knot: Knots can symbolically represent the binding together of two people in love, which is why it is a common marriage symbol. A rose: Flowers are often representative of love, and none more so than the rose – there’s a reason they’re the most popular flowers on Valentine’s Day. The rose as a symbol of love dates back to Ancient Greece, and it is said to encompass the passion of romance. Triangle: In Buddhist Sri Yantra mandalas, the triangle shape invokes the power of love as a tool on the way to enlightenment. Some people use love mandalas to attract their soulmate. In this practice, a mandala is slowly colored, and when each different space is filled in, they think about their desired qualities in a partner. 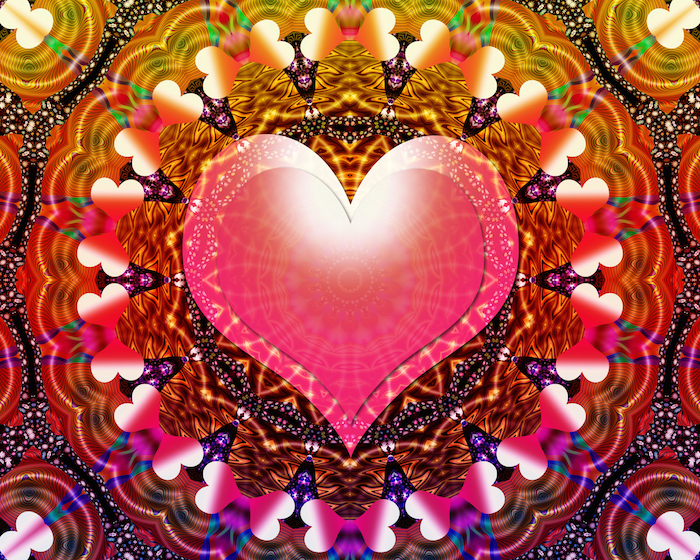 While this may or may not actually work, using mandalas as a way to meditate on love can have many practical applications in modern relationships. 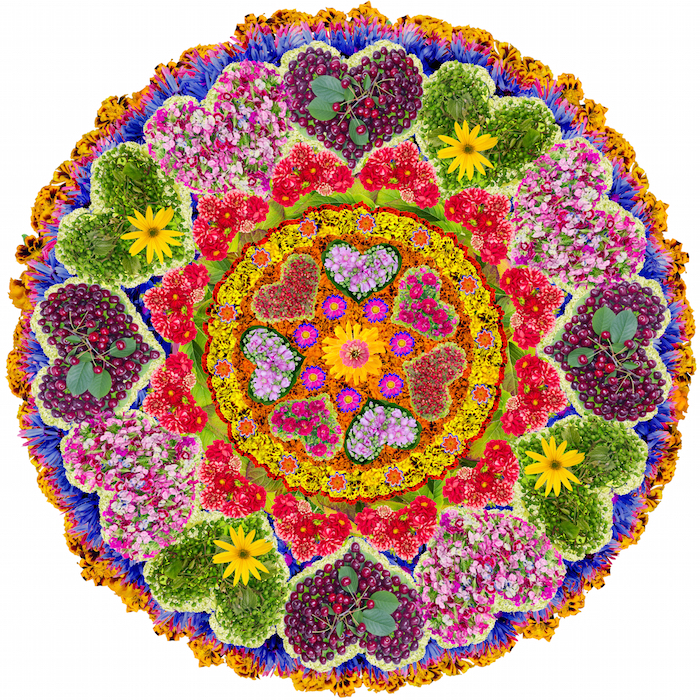 First of all, the therapeutic and meditative focus of coloring mandalas helps to clarify the mind and thoughts, so for example, someone having a fight with a partner can use a mandala to help clarify each component at the root of the dispute. Using each area to help focus on a different element of the fight, the feelings of anger disappear as you are able to visualize a way to solve the problem, rather than focusing on the problem itself. Second of all, the process of creating the mandala will help quiet the mind’s activity. This means that rather than spiraling a small dispute into something bigger, both partners can access peace through the pages of a coloring book. While coloring a mandala can be useful for those who are both single and in relationships, it can also be a powerful way to learn to love yourself. When coloring a mandala, focus on aspects of yourself that you appreciate – not only will you gain the benefits of meditative focus, you’ll also visually express appreciation of yourself, which goes a long way in boosting self-esteem.